Your law firm might have the most intelligent lawyers, the best research team, and the highest win rate in the area, however, potential clients will never know that if your firm’s website is out of date. A tired-looking website gives visitors the impression that the firm itself is out of touch with the times and needs of modern society. Unfortunately, this makes users less likely to contact your firm when they need the legal services that you offer. A law firm marketing agency can produce a beautiful, easy-to-navigate website that easily attracts new and old clients alike. 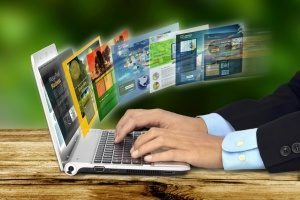 Learn what to look for in an effective law firm website design and how a hiring a digital marketing agency can help you build one. The aesthetic design of your website is most likely the first thing that visitors will evaluate when they are directed to your site. Many individuals are quick to dismiss a website right away if it does not look up to date, so it is important to maintain a sharp design. A law firm website design that looks uncluttered and modern demonstrates that you understand the needs and values of your users. Sites that include pictures and other visual cues provide interest and encourage potential clients to spend more time on your website. Likewise, photography or videos can provide a break in between sections of text, allowing users to better absorb the information presented to them. A website that is being viewed in a large window on a computer should display all of the menu items in a banner going across the top of the page. These sections should be clearly labeled, informing visitors in one to two words what they can expect to see if they click on the link. For example, you might label one menu item as “Attorneys” and another as “Practice Areas,” which would direct users to your featured attorneys and areas of practice, respectively. The banner should also use a background color that contrasts with your website background so that it stands out and is easily visible on every page on the site. For users who are viewing your website in a smaller window or on a mobile device, it’s important to display the same clearly-labeled menu in a compact format. Many website designers use a “hamburger icon” (three horizontal lines stacked on each other) to indicate that viewers should click there to open the menu. This type of menu keeps the screen clear of clutter so that users can more easily read about the legal services you offer on a smaller screen. Now that users know how to navigate to different areas on your website, it is important to ensure that the information they find when they get there is worth their attention. Providing users with relevant and engaging content positions your law firm as a reputable source within the industry, garnering trust and helping potential clients feel more confident in acquiring your services. Content marketing can also help people easily find your website through search engine results. Using search engine optimization (SEO), content creators at a digital marketing agency can incorporate relevant keywords – such as “local attorneys” or “corporate lawyer” – into the blog posts, headers, and other content on your website. This helps search engines determine that your site contains keyword-relevant content and, as a result, will rank your site higher in the search results when web users search for those terms. Sites that are ranked higher in results are often considered higher quality by web users, making front-page placement a powerful marketing tool for your firm. Thus, combining well-written and well-researched content with a custom SEO-optimized law firm website design can significantly increase your pool of clients. The structure of the URLs and links that direct users to each page on your website may not seem like a major concern in terms of your law firm’s overall website design. However, simple URLs can often make the difference between whether users find your site or not. Search engines tend to rank pages that have short, descriptive URLs higher than pages that have long URLs with complicated strings of nonsensical letters and numbers. 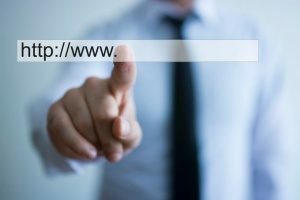 For example, an effective URL for a page that includes your firm’s contact information may look like “https://www.yourlawfirm.com/contact/.” This brief description tells both search engines and site visitors alike what information to expect on the page. This subtle difference can attract many visitors to your site while also significantly boosting your site’s chances of appearing in that prized front page of the search results for law-related keywords. Including Calls to Action (CTAs) throughout your firm’s website will increase the likelihood that visitors will reach out to you inquiring about your legal services or schedule a consultation. These CTAs should take the form of links and buttons that include action-oriented verbs, such as “call today” or “contact us.” Using colors that contrast with your site’s background for these buttons can help them stand out to potential clients, whether they are looking for a contact method or simply browsing your website. Having readily available ways to contact your firm also makes it easy for users to get in touch right away, instead of requiring them to write down contact information that they may forget to use later. 321 Web Marketing constructs high-quality websites for a variety of industries, with a large focus on legal industry clients. 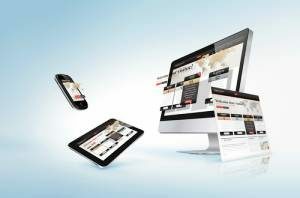 321 will improve upon the navigability, aesthetics, and other features of your site to create a conversion-focused website design that turns visitors into clients and helps your firm generate more revenue in less time. 321 Web Marketing will also periodically review and update your site, even after it has been launched, to ensure that it is as easy to use in the future as it is easy on the eyes. Speak to a digital marketing professional at 321 Web Marketing today for more information regarding the law firm website design process.